I got back into town yesterday afternoon, tired after my whirlwind trip to the GT Academy finals in Orlando. GT Academy is unlike most video game tourneys in that it gives the contestants a chance to dramatically alter their lives. It’s more than just an oversized check or a new gaming rig – for a lot of the contestants it’s the fulfillment of a dream. Head over to Bullz-Eye to read my full writeup of the experience. By the time I had watched thirty seconds of that video, I knew Nissan and Sony had done something epic. The two companies have paired up to offer the best Gran Turismo 5 drivers from around the nation a chance at becoming a real world, flesh-and-blood race car driver. Just look at those spinouts. I can’t wait. GT Academy will challenge gamers and racing fans alike across the U.S. to compete in a series of online time trials in pre-selected Nissan vehicles in Gran Turismo 5. Throughout the course of the competition, participants will earn free digital content just for playing, as well as have an opportunity to win prizes for winning regional time trials. 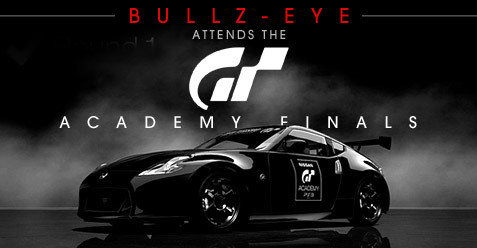 The top 32 virtual racers in the country will compete in the live national finals event scheduled for March 2011 to become one of 16 GT Academy finalists. The 16 finalists will compete against each other in a series of challenges, including behind the wheel of real Nissan race cars, for a chance to become a professional race car driver as the GT Academy winner for the U.S. The winner will have the opportunity to train with elite race car drivers at international tracks and race as part of a professional team. It’s definitely an interesting concept. For more info, check out our post on the Bullz-Eye blog. Last month Sony took a much anticipated first step toward getting GT5 in the hands of the public by releasing the demo. Since that time, Sony was proud to say the demo has been downloaded over a million times. First question in my mind: where the hell is the game? It’s been in development forever. And sure, they’ve got new engines and all that, but Microsoft has dumped two new versions of its racing sim on the world in the time it’s taken Sony to get GT5 together. Then there’s this: A million times? Like one? Only one? Granted, it’s a single platform release, but that’s still ridiculously low for a top tier title. Oh, but that’s only stats for 17 countries participating in some crazy Time Trial Challenge, which doesn’t include Japan, the States, or Canada. Last question then: why should we care? 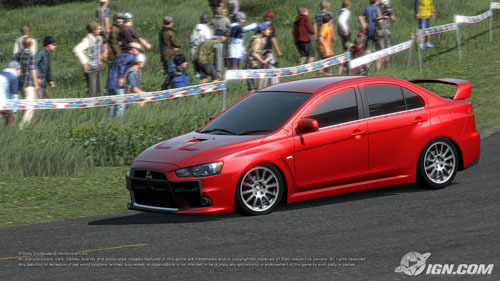 I know the Japanese release date set some of the GT5 fans out there to drooling. And why not? March is just around the corner. Unfortunately, the western release date for the game isn’t set, and the only approximation is “Summer 2010.” As you know all too well, that could mean virtually anything. If you think you’ll get the game in June, think again. Chris Hinojosa-Miranda told Destructoid that Polyphony Digital hasn’t even started thinking about DLC yet. That might not seem like a big deal, but that’s one of the primary ways developers have been monetizing games today. The fact that Sony isn’t even talking about it yet says to me that they have to focus 100% on just getting the game out the door. The good news is that when the game finally releases there will be plenty to do. The roster includes something on the order of 1000 cars. Then again, it’s tough to look at that number without wondering just how long until we get to see any of them.